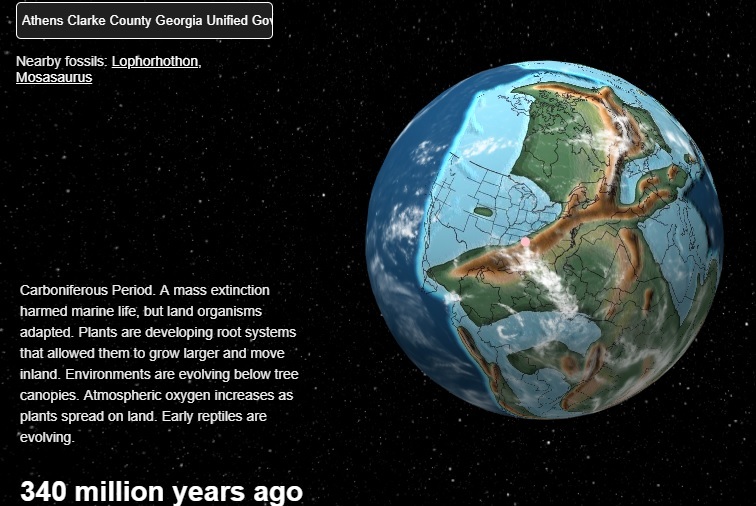 Climate and Agriculture in the Southeast | Where was your location millions of years ago? Here is a cool new web site that shows you where your address was millions of years ago when the continents were in significantly different places than they are now. You can read more and access the direct link here. And ask yourself how we know where the continents were millions of years ago and what the climate was then. If you trust scientists to tell you this, why would you not trust them to tell you what they think the future climate will be like based on the best scientific knowledge we have? Posted in Climate and Ag in the news, Tools for climate and agriculture. Bookmark the permalink.